When hiring a plumbing, air conditioning, and heating company in Roselle Park, NJ, you want to be assured you’re getting the best services. After being in the industry for years, Rite Rate Heating & Cooling is the right choice as we have a team of contractors and plumbers that are fully licensed and bonded. We’re experienced and insured to service all residential and commercial plumbing and HVAC systems. If you need a pipe installed, an air conditioner replaced, or heating repair, you can count on Rite Rate! Over the years, Rite Rate has been offering top quality heating services throughout North NJ. Whether you are looking for a central heating and cooling system installation or 24/7 heating repair, we are the right company to call. We offer everything from a hot water heater installation to heating repair in Roselle Park, NJ! You can rest assured that our technicians are qualified to service any boiler, furnace, or tankless water heater. If you are looking for a heating company you can trust us to keep you warm throughout winter then give Rite Rate a call today! If your air conditioning system isn’t working or you need a new one installed, Rite Rate is an affordable air conditioning company in Roselle Park, NJ! We have a team of qualified technicians whom you can depend on for emergency repairs, installations, replacements, and maintenance. We know the ins and outs of all air conditioners including central AC, packaged air, ductless air conditioning, heat pumps, and air handlers to name a few. There’s no air conditioner we can’t repair or install in your home or business. 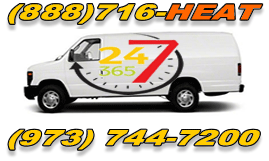 If you need immediate help with your AC, call us anytime for 24hr air conditioning repair! At Rite Rate, we also offer pocket-friendly plumbing services. We deal with the installation and replacement of pipes, drains, toilets, sinks, showers, faucets, and other fixtures. Our professional plumbers will help in solving all issues related to your plumbing whether it’s a burst pipe, clogged toilet, or leaking faucet. You can also call us for sump pump services, flood assistance, and drain and sewer cleaning! We understand that plumbing issues can be an emergency and you can’t wait to call a plumber. Rite Rate is on standby 24/7 for any emergency plumbing repair so don’t hesitate to call us immediately!